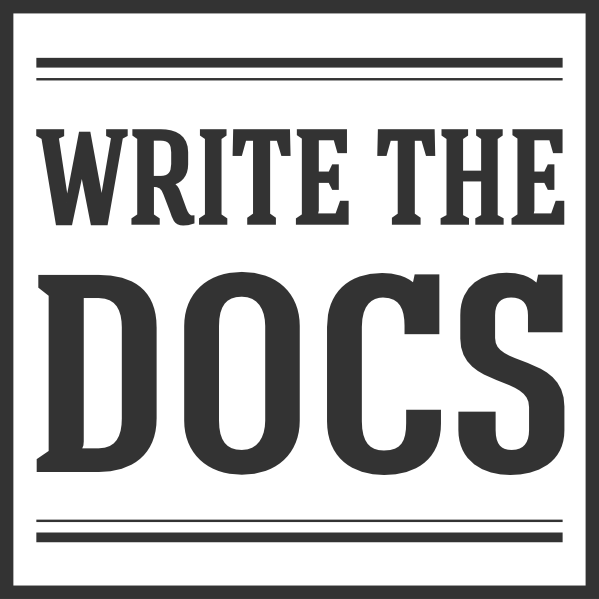 Hello Write the Docs! Nice to see you again in this, our second issue of the community newsletter. In case you missed us last time, we’ve started up a monthly newsletter to highlight interesting conversations that have been happening in the community over the last few weeks. This month, there was tons of good material to choose from on the Write the Docs Slack. (Between us, I suspect this is going to be a recurring problem. 😉 ) On top of that, out in the real world, we successfully carried off our third EU conference! We’ll include some links to write-ups and multimedia coverage from Prague at the bottom of the newsletter, if you’re looking to relive (or vicariously experience) the fun! In the meantime, we hope you find these tidbits useful, insightful, or at the very least a reasonably interesting way to pass a few minutes of your day. NOTE: As a reminder, we’ll be keeping an eye on the #general channel for newsletter content, but if you see a conversation elsewhere on Slack (or Twitter or wherever) that would make good newsletter fodder, ping our editor, Kelly O’Brien (@kobrien042). Often when we’re writing docs, we’ll lean on a few fictional users we can refer to by name, to make our content easier to connect with. But when picking names for these users, it’s dangerously easy to fall back on old standards like ‘Joe Bloggs’ or ‘Jane Smith’, which do little to represent a diverse user base. Pop culture references — Using familiar characters from popular culture (Star Trek was the example that came up) was one example. It has the advantage of having a set established characters to choose from, and a narrative you can borrow against to boot. It also, though, runs the risk of not translating across cultural boundaries, as well as requiring some research into fair use and copyright laws, to be on the safe side. Random name generators — There’s also a few random name generators out there that would make for good resources. None of these are a perfect solution, perhaps, but they all give us somewhere to start from, when thinking about broader representation in our docs. To help us with questions like the one above, Thursday Bram (@thursday) (one of our illustrious WtD speakers) and Audrey Eschright (founder and publisher of The Recompiler) just successfully funded their Kickstarter campaign to publish the Responsible Communication Guide. The project will produce a cross-functional style guide to help people write about technology in way that is more sensitive and inclusive around questions of race, gender, sexuality, religion, and health. Definitely a project to keep an eye on—congratulations to everyone who worked so hard to get it funded! One of the suggested approaches was to extract command messages in JSON format, then manually build a search and filter table on a static reference site. Although it might start out as a manual project, it’s probably a process that could be automated, in the long run. There are also tools that will let you autogenerate help output, based on the source code. While this approach certainly makes the reference pages easier to maintain, its success is entirely dependent on making sure that your help text strings in the code clearly and adequately explain what the command does. If those strings are unclear, the autogenerated output won’t be helpful. Whether you generate them manually or automatically, though, the consensus was that having a good process for reviewing your command messages/help text is important. Introducing some kind of help text review step into your regular code review process can be a good way to get your reference copy in front of your docs team, as well as giving your dev team a good example of the impact the help text strings have on your end users. Keep samples short — Busy hiring managers aren’t likely to read a whole user manual, and in long samples, it’s not always obvious which parts you actually wrote. One suggestion was 3 to 5 pages of varied documentation types (reference, narrative, procedural, etc.). Choose relevant samples — Try to include samples that are related to the kind of tech writing you’d be doing, if the company were to hire you. Share work that you’re proud of — When selecting pieces for your portfolio you want to show off your best work to the hiring manager. Just show them you can write — Even if you don’t have professional technical writing samples, write a bit of example documentation for your favorite app or product. Even a blog post can be a good work sample, if it shows that you can write well. Proofread, fiercely — You want to be obsessive in your proofreading, making sure to eliminate any spelling, grammar, or typographical errors. Don’t give the hiring manager an easy way to disqualify your application! For more help with preparing technical writing portfolios, there are some guidelines available here: http://www.synergistech.com/portfolios.shtml. Another of our past speakers, Chris Ward (@chrisward), published a new blog post this month — ‘Making Atom (even more) awesome’ — about how he uses GitHub’s extensible, open source editor for writing documentation. The post garnered quite a bit of buzz and goes into an awesome degree of detail on his setup and all of the different customizations he’s tried out with the editor. Definitely worth a read, if you’re interested in other documentarians’ tool setups.